Safeway has Caress Body Wash on sale for $3.50 when you buy any 4 participating items through 9/28. There are several new coupons available to stack with this promotion that will bring the cost per body wash down to just $1.10 each. 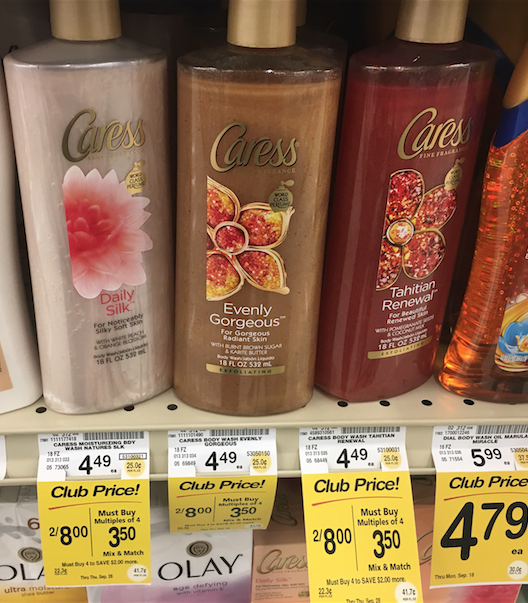 Normally $4.49 for Caress Body Wash at Safeway, you’ll save 76%. This is a fantastic deal! 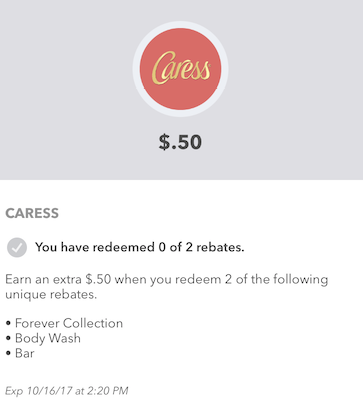 Be sure to look for the new Caress Forever Collection when you are shopping at Safeway as that product has the $1.40 cash back coupon from ibotta which makes this deal possible. You can mix and match this deal to get to 4 products with with the $.7.99 Vitafusion Gummies Deal, $1.99 Ziploc Containers, $.50 Colgate Toothpaste, $2.50 Irish Spring, $1.49 Edge and Skintimate, $1.49 Windex and Scrubbing Bubbles and more! The best value is to buy 2 Caress Body Washes, use 2 coupons and submit 2 rebates. 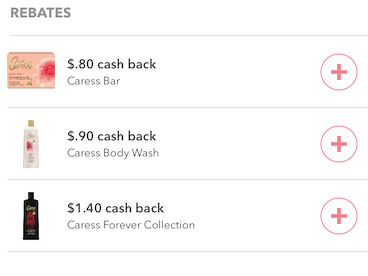 You’ll then get a $.50 bonus cash back from ibotta for purchasing 2 Caress products, bringing the final cost of each to just $1.10 for 2 bottles. If you are new to the free ibotta cash back rebate app, be sure to read more about it and download it today. You’ll get an extra $10 cash back when you redeem your first rebate.